LL-802 Laserguard® Pro™ for Springfield Armory XD-S is a powerful laser sight and 150 Lumen LED white light in a single compact unit. 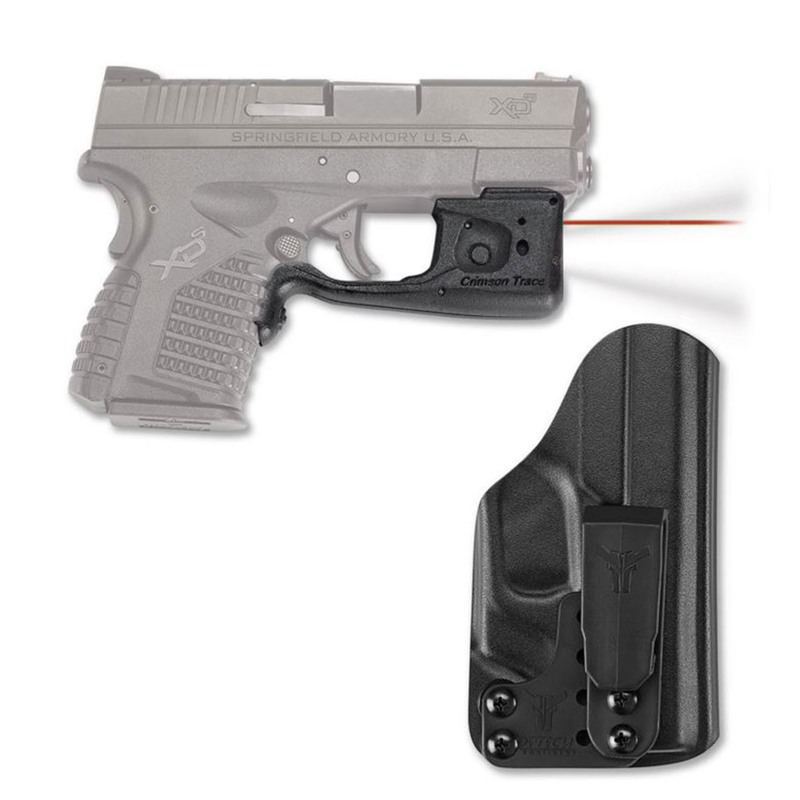 Designed specifically for the XD-S platform, this illumination and targeting product is activated with Crimson Trace's famed Instinctive Activation™, which activates the unit with a normal firing grip. LL-802 offers four modes of operation: Laser + Light, Laser Only, Light Only, and Laser + Light Strobe. The unit features a Master On/Off Switch, is completely user-installed in moments, is adjustable for windage and elevation and offers 2 hours of battery life.